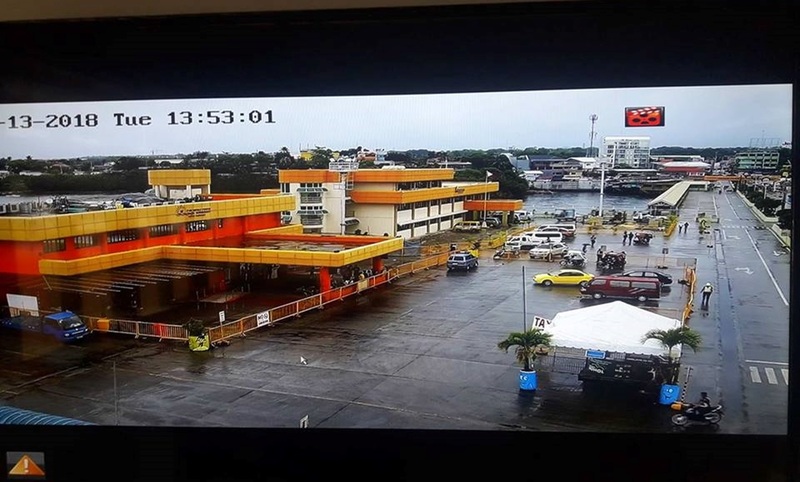 The Philippine Ports Authority has installed 32 high-definition security cameras in key areas of the Tagbilaran CIty port for 24-hour monitoring of the facility and its surroundings. The Philippine Ports Authority (PPA) will be maintaining heightened alert status even after the Holy Week break which boosted foot traffic in various Bohol ports particularly through passenger arrivals, said an official. According to PPA Manager James Gantalao, the PPA again has to brace for an increased volume of passengers who will be returning to work outside the province and tourists going home from vacation. He said the local ports cater to an average of 6,000 to 7,000 passengers a day since the summertime peak season for Bohol started. Foot traffic at various ports of the province was its highest on Wednesday during the Holy Week. Some shipping lines had to add trips in a day just to accommodate the increased volume of passengers—both inbound and outbound. According to Gantalao, the raised passenger influx prompted the PPA to heighten security at ports in Bohol, although stringent safety measures were already implemented as early as January. Additional security units including civilian-clothed personnel were stationed at the ports starting January, Gantalao said. However, help desks were set up at the ports of Tubigon, Talibon, Jagna, Ubay and Tagbilaran City only during the start of the Holy Week. The help desks were manned by representatives from different agencies including tourism offices, the Philippine National Police, and the Philippine Coast Guard. According to Gantalao, they have to protect the passengers from those who would take advantage of the increased volume of passenger arrival. The help desks also served as guide for tourists. Gantalao said that authorities were frequently asked by travellers on the location of destinations in the province and the contact numbers of hotels. Meanwhile, the Bohol Police Provincial Office (BPPO) augmented the security forces in areas with entry points such as Tagbilaran, Tubigon, Talibon, Jagna, and Ubay. Augmentation forces were also deployed to top tourist destinations such as Panglao and Anda. Deployment of additional police personnel however was still centered in Tagbilaran City due to the expected traffic increase at two major entry points—the city airport and the seaport. Checkpoints were also randomly established by police stations in key areas of towns and the city.